We are manufacturer, wholesaler and Exporter of Wood Furniture, Rattan Furniture, Wicker Furniture and Homewares, based in Klaten, Central Java, Indonesia. Axel Furniture offers many kind of furniture style : Contemporare Furniture, Classic Furniture, Traditional Furniture, Wood Furniture, Rattan Furniture, Old Furniture, Hotel Furniture and Resort Furniture. We show you new ideas for everything to fill the need of your home and creat comfortable home. 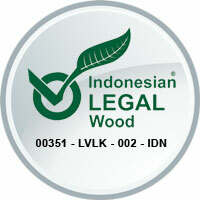 We apply Mahogany wood, Teak wood, Mindy wood, and Acacia Wood for our product. We also fashion our furniture from : Rattan, Seagrass, Waterhyacinth, Abaca and Banana with highest construction standart, ensuring comfort and durability. Our Furniture design made beautifully to almost in any rooms inside your home, suitable to be placed in Living Room, Bedroom, Dining Room, Bathroom, Kitchen even Terrace. Supported by qualified man source whom very skilled in their field, especially the art of ethnic it self. We are also possible to realize your own design in shape you desire. We set high standart of controlling to keep our quality, started from choosing material, processing, constructing, finishing to packaging. Our prices is competing against the market prices with maintaining of quality and the beauty of the product it self. Price and quality, are the most important thing. With our reach and professional organisation you are assured the lowest comparable price with consistently quality. We have been doing this business for more than 13 years and have exported to all around the world (Australia, New Zealand, USA, United Kingdom, Canada, Germany, Ireland, Middle East, Fiji, etc). We invite you to visit our website for your furniture need.